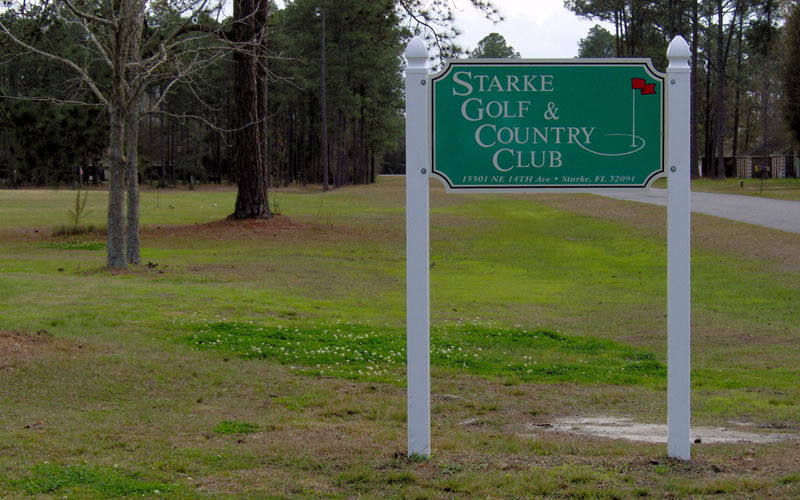 Come visit our charming 9 hole course located in beautiful, rural Starke, FL. A perfect course for the beginner all the way to the advanced golf enthusiast. Designed and built by Roy Albert Anderson and opened in 1959. Stark is a semi-private golf course which is open to the public and features tree lined fairways where water comes in to play on seven of the holes. There are a total of 3,229 yards of golf from the longest tees for a par of 36. We also have an excellent driving range and rental clubs are available.